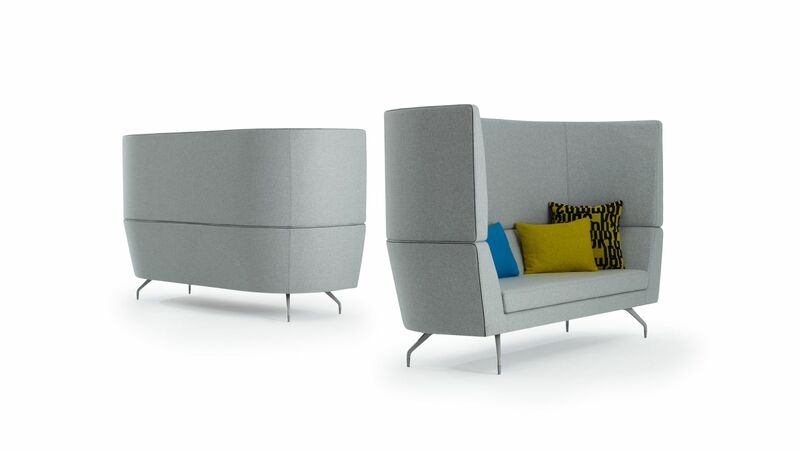 Cwtch Low can be configured with straight and curved corner sections, and with a linking dock unit with power/data connectivity and a small worktable. 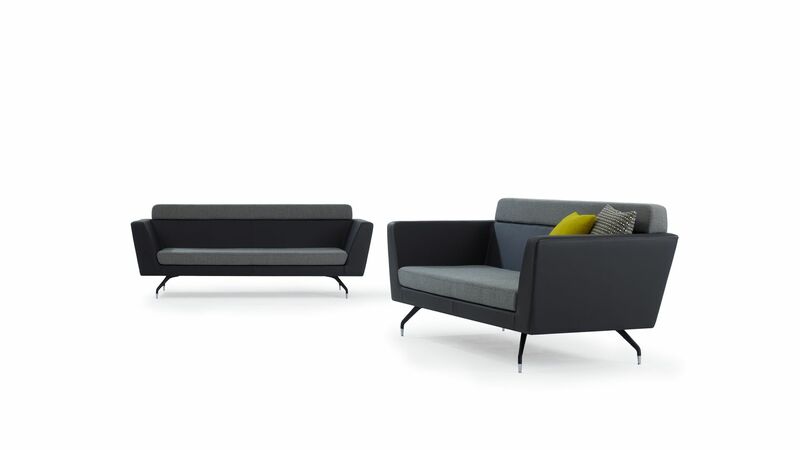 Cwtch Midi has a more linear and square aesthetic than the low unit. 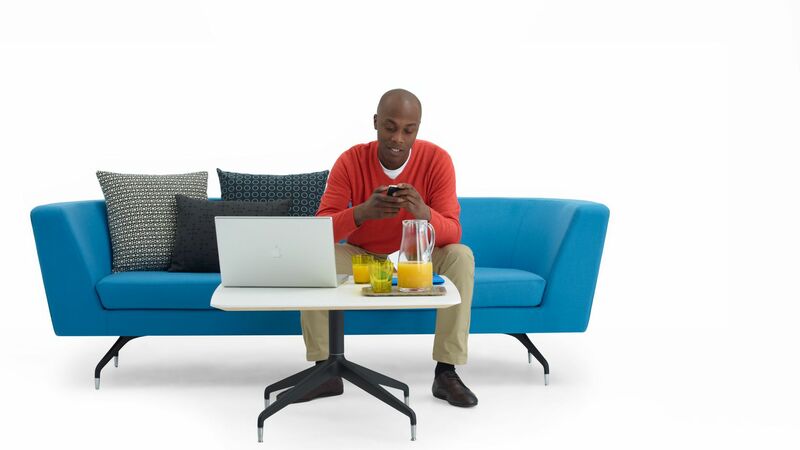 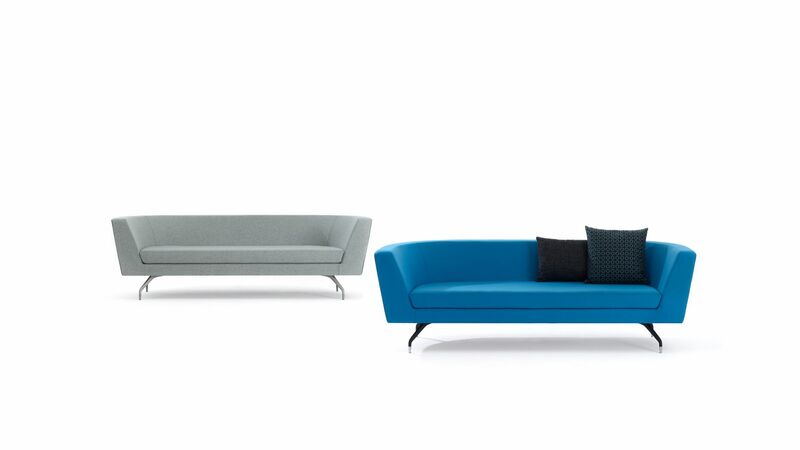 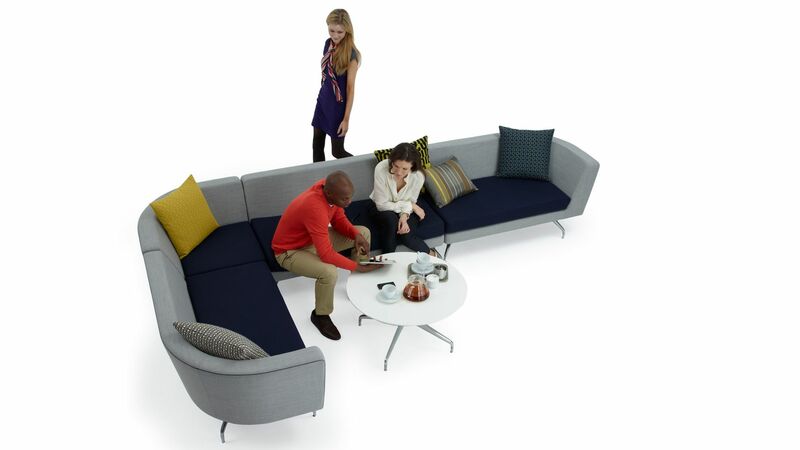 Its three or four seat sofas are enhanced with a back extension, offering additional specification and finishes choice. 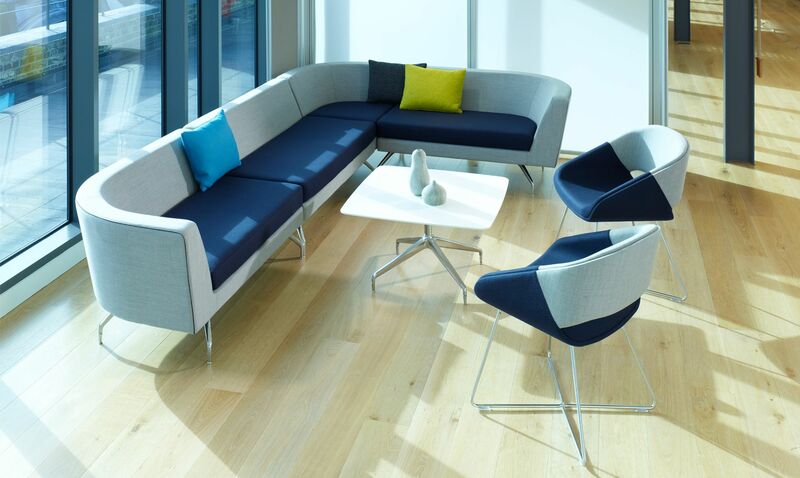 Midi, like the rest of the Cwtch range, can be complemented with medium or large scatter cushions. 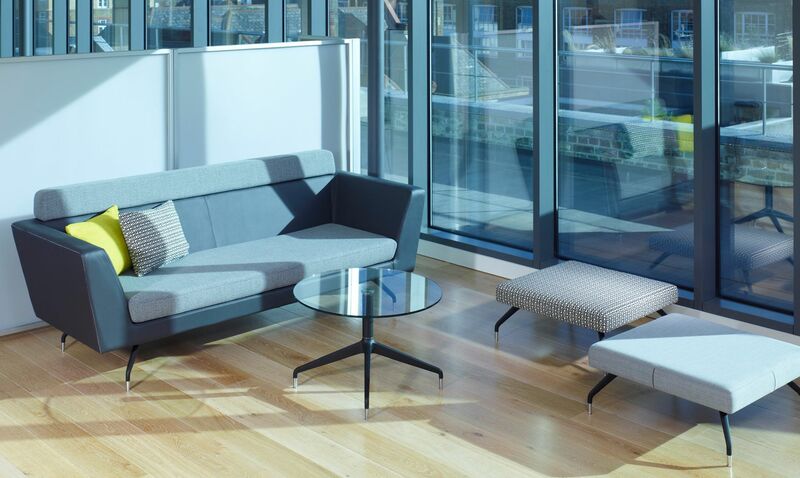 An elegant low bench unit offers further space planning and layout choice, as does the complementary range of Cwtch tabling. 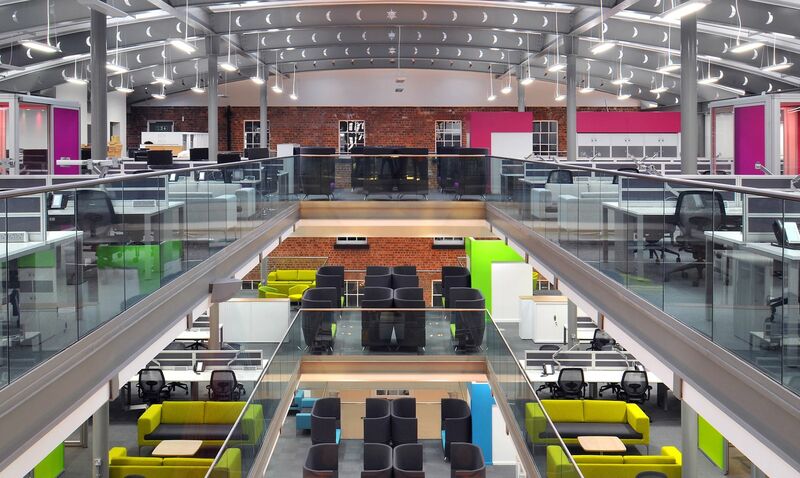 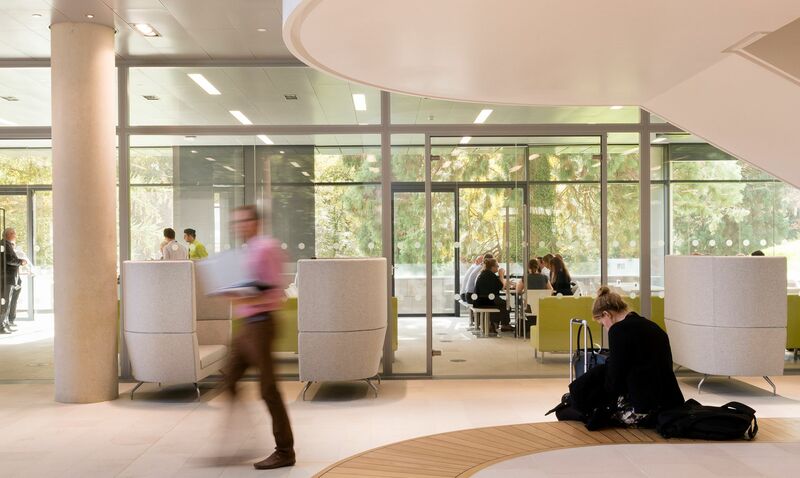 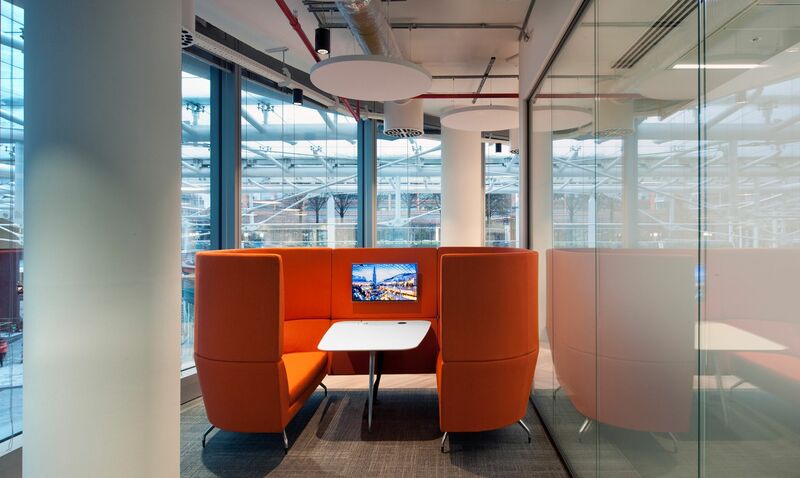 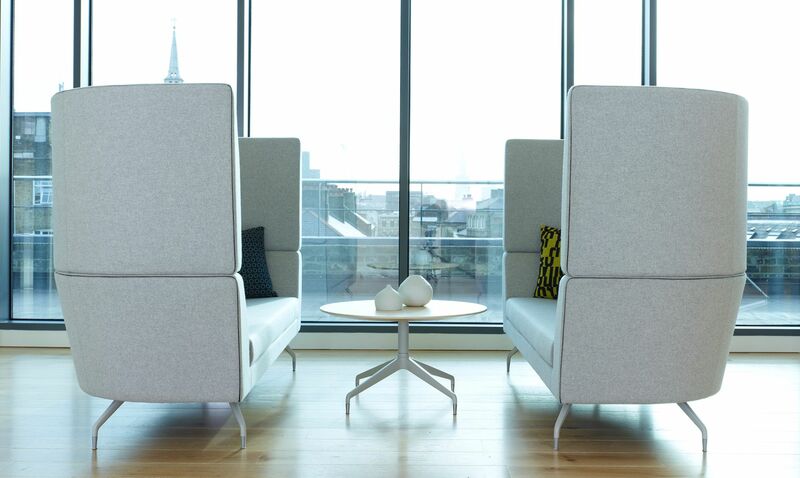 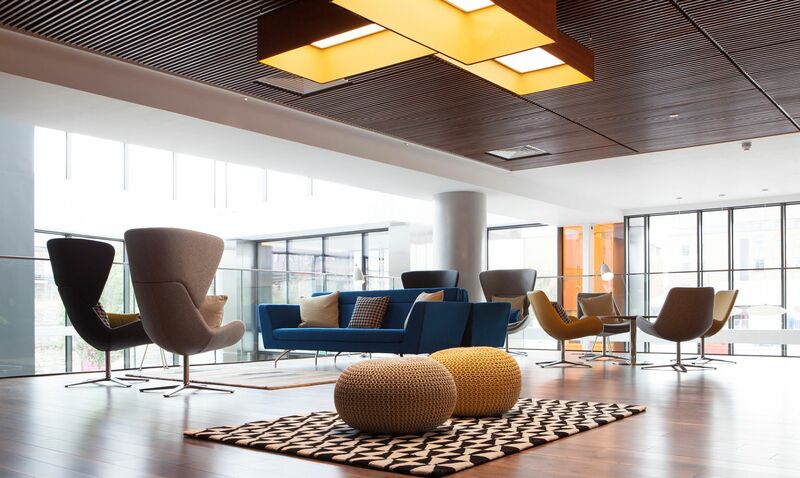 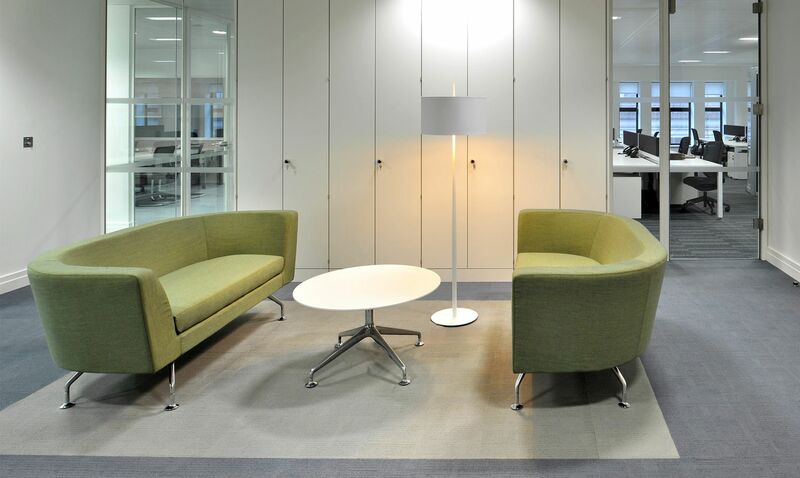 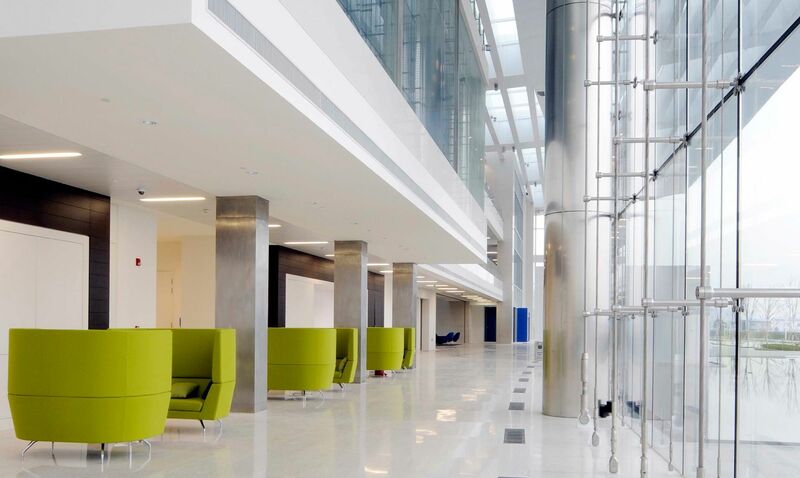 Cwtch High has become a key Orangebox product thanks to its ability to easily create working privacy within even the largest open plan spaces. 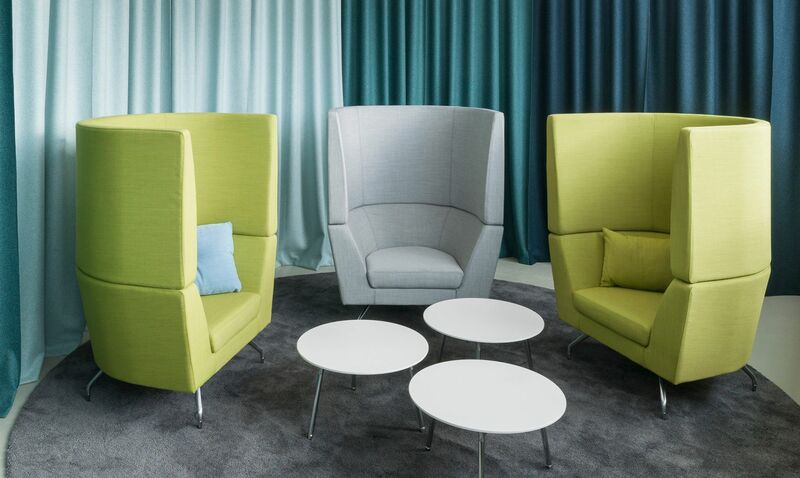 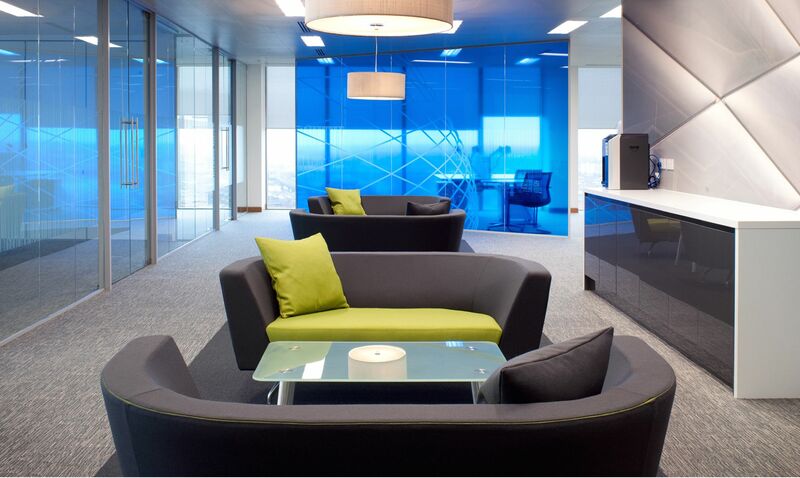 The fact that Cwtch High is fully upholstered creates opportunities to visually enrich any interior space through texture and colour blocking. 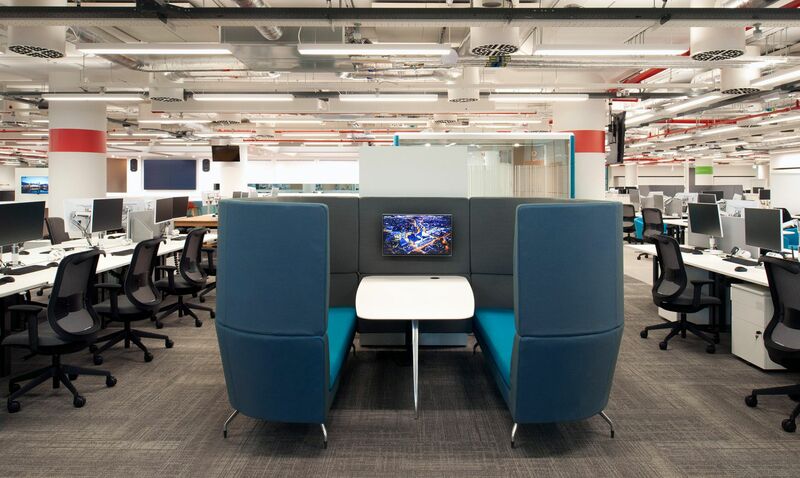 Cwtch Media is an enclosed, semi-private working booth. 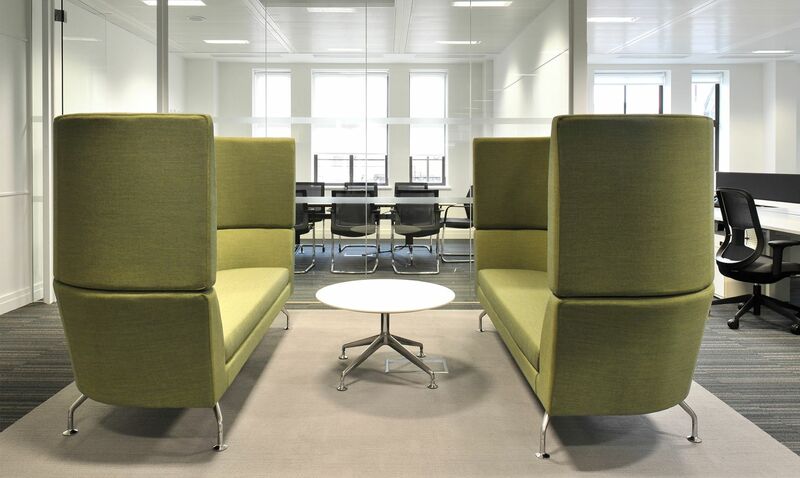 Configurable as a 1+1 unit, a 2+2 unit or a 3+3 unit, it can be specified with power/data capability and also with a large format monitor mounted onto the fixed upholstered panel. 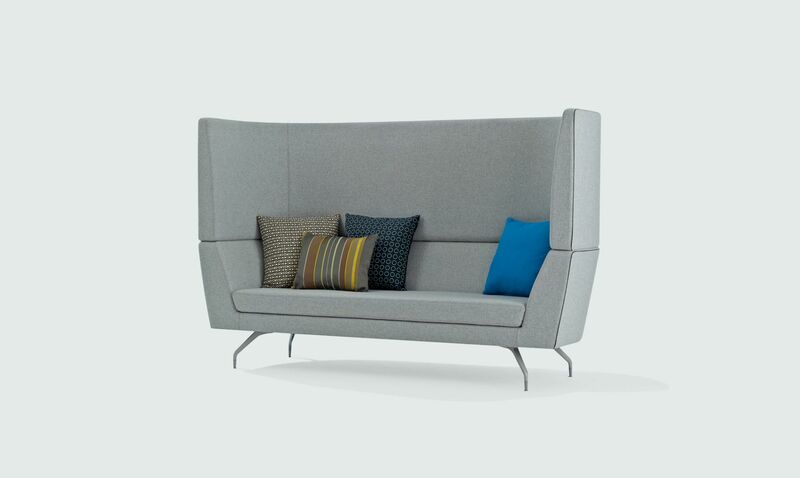 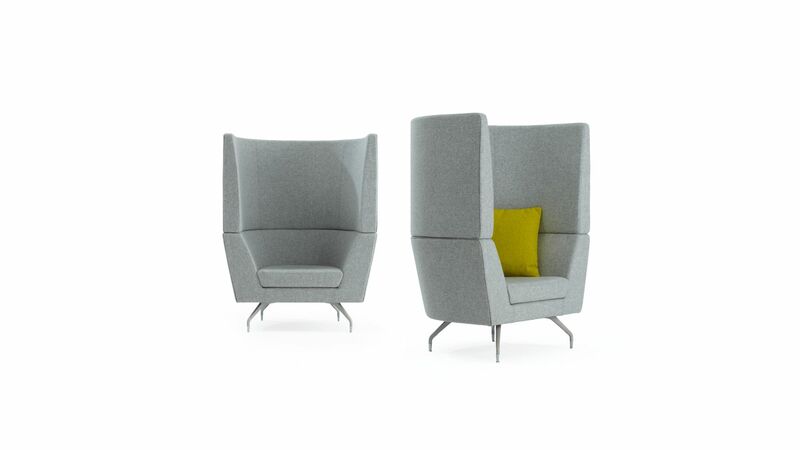 Cwtch has a cast aluminum leg available in the standard Orangebox finishes and Cwtch High has an addition solid wood leg option also available in our standard fabrics. 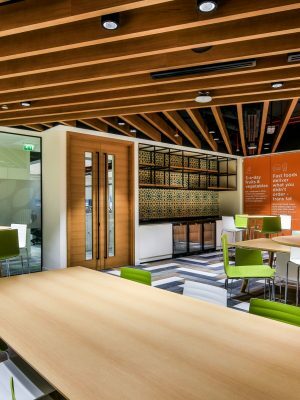 “During the design and development process it became clear that my principle aim was to design a system that was elegant yet simple. 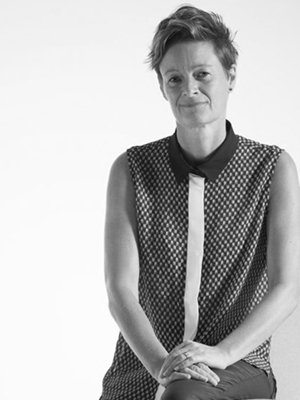 My experience in the fashion industry is made manifest in the subtle yet important contrasting graphic gap at the external seams, which gives Cwtch a contemporary twist.” – Angela Gidden.